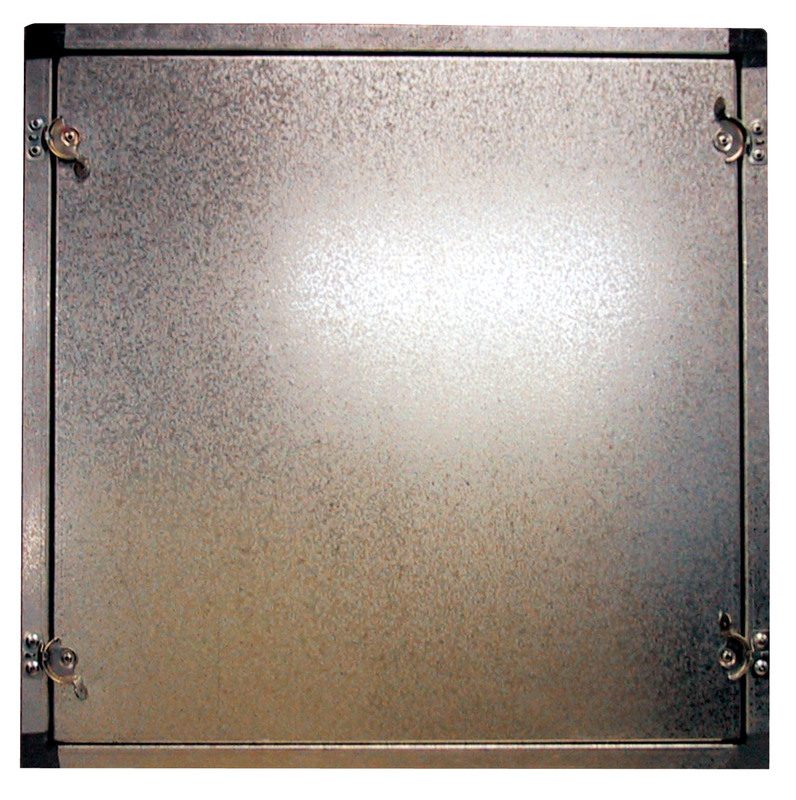 Bullock manufacture these oversize access panels to suit your duct or conditioner housing needs. Made from quality galvanised sheetmetal complete with galvanised sash, cam and hooks, 25mm premium fibreglass insulation and heat welded PVC gasket seal. With these 2 extra large sizes, achieving a reliable, re-sealable way of gaining access to vital equipment for maintenance purposes is made easier. Also available in 304 or 316 stainless steel. AP4 Overall size - 705mm x 705mm. Day-light opening sizes - 610 x 610.